Housing continues to make headlines across the country, with many Canadians lamenting the high cost of homes particularly in our big cities. And yet, the best way to maintain broad affordability in prized housing markets is to build a lot of homes. This way, would-be homebuyers are less likely to find themselves in bidding wars with wealthier counterparts. One supposed hitch for cities facing strong pressures to grow—including Toronto and Vancouver—is that they are short on space. 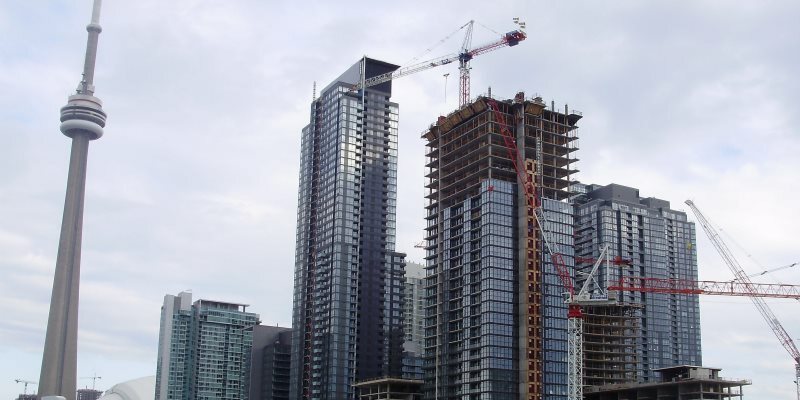 Natural and manmade barriers such as Lake Ontario, the Greenbelt or B.C.’s North Shore Mountains all limit how many new neighbourhoods can be added at the urban fringe, complicating the situation for newcomers. Seen this way, high and rising home prices are inevitable—the logical consequence of newcomers converging on a dwindling number of available housing units. Right? First, cities such as Toronto and Vancouver have plenty of room to grow through higher population density (something Vancouver’s outgoing mayor now seems to recognize). The New York borough of Brooklyn, for example, has the same population as Toronto but covers one-third of Toronto’s land area. Similarly, San Francisco has a comparable land area to Vancouver but accommodates roughly 30 per cent more residents. And second, when sufficient new density is added (a process called intensification), the average cost of buying and renting eventually goes down. In Tokyo, a prosperous growing city three times as dense as Toronto, home prices have risen negligibly since 1994 thanks to a highly-responsive housing supply. Closer to Canada, the iconic (and already very dense) New York borough of Manhattan made news recently because its rents have started to decline, with median rents now 3.6 per cent lower than last year, following important increases in new homebuilding. So, the good news for Canada’s most expensive spatially-constrained cities is that perennially high (and growing) housing prices aren’t inevitable. Not only is there plenty of room to boost the housing supply, but experience in other high-density world cities shows that it’s indeed possible to build our way to affordability.